Downtown Batavia’s historic district incorporates many buildings, sites and features that stand as a testament to an enduring legacy, a community, a way of life built on the Fox River and the Illinois Prairie in the late 19th and early 20th centuries. From the train Depot Museum to the old Congregational Church to Water Street, many of the buildings that stand today reflect the values of a community built on industry, transportation, energy and faith. Batavia was a key supplier of limestone for building in Northern Illinois and it is reflected in Batavia’s downtown historic district buildings as early as 1834. 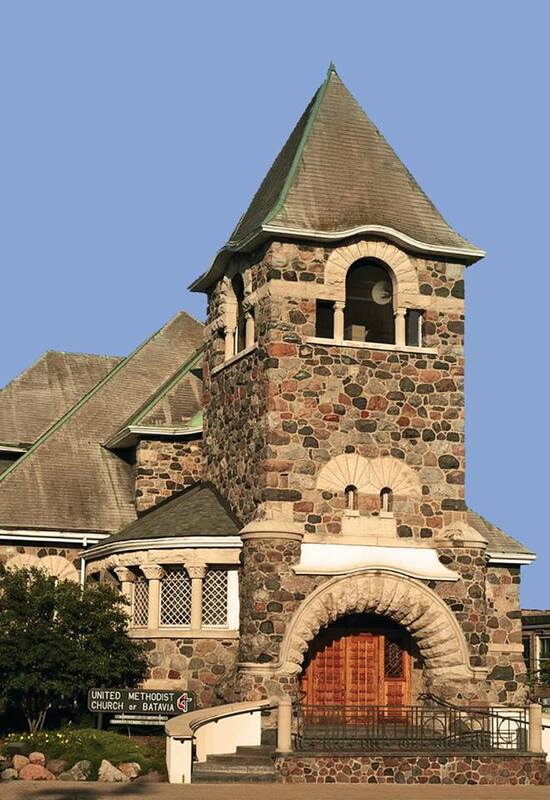 Batavia’s cultural beginnings are reflected in the many and varied churches, built as early as 1855. View these and other symbols of Batavia’s rich history in their downtown historic district.